WooCommerce Wishlist Extension: Let your site visitors create Wishlists based on your products. WooCommerce Wishlists is an incredibly powerful extension with many unique and useful features available. All the big boys have it. 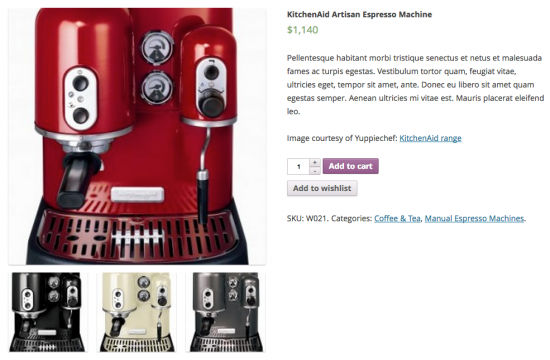 Now with WooCommerce WishList Extension, your site can too! Whether creating wishlists for themselves as a gift list, wish lists keep your customers engaged and can increase sales. ◉Allow Guest customers to create their own Wishlists which will be stored for a maximum of 30 days or until they clear their cookies. 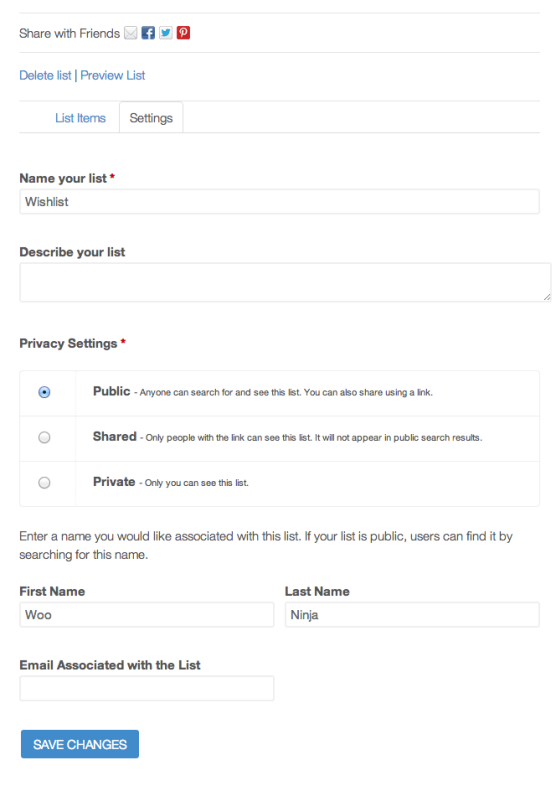 ◉Allow Registered customers to create Wishlists and store them indefinitely. ◉Unlimited numbers of Wishlists can be created by customers. Whether it is one list for that special occasion, or a few personal lists and a few shared lists, the possibilities are endless. ◉Full privacy control over lists. Customers can assign their Wishlists as public (anyone can search and find their list), shared (only someone with the unique URL can view), or private (only they can view it). ◉Social media sharing. Guests and Users alike are able to share their public or shared lists through Facebook, Twitter, Pinterest, and even Email with a custom email message. ◉Full support for grouped products, product variations, and of course, simple products. WooCommerce Wishlists also supports products using the Product Add-ons extension and theGravity Forms Add-on exstension. ◉While browsing products in your shop, customers will be notified if the item already exists in one of their Wishlists and will be told which one/s. ◉From the single product screen, customers are able to add a product to an existing list, or create a new list for the product. ◉The “Add to Wishlist” text is fully customizable and can be changed from a buttton, to link text with a star or present icon. For the designers out there, you could even create and add your own icon. ◉A custom WooCommerce settings tab to adjust many of the core functions. ◉A robust admin section to view and manage created wishlists. ◉Since WooCommerce Wishlists generates specific pages, there is extremely easy integration with WordPress Menus so you can add a link to any menu your theme supports! ◉Managing a Wishlist has never been easier. Numerous Bulk Actions are available to easily: Add multiple or all items to the cart, delete one or multiple items in an instant, update quantities for one or multiple items, and even move one or multiple items easily to another list or to a brand new list.